Received this advisory today from the Roosevelt Island Operating Corp (RIOC) at 6:20 AM. Due to an earlier traffic accident (approximately 4:30AM) between two vehicles on the Roosevelt Island Bridge. Traffic is currently halted for both incoming and outgoing traffic until salvage tow truck can remove vehicles. NYPD and PSD Personnel on scene. Both Vehicles involved in earlier accident have been removed from bridge. Traffic is now moving on and off bridge. 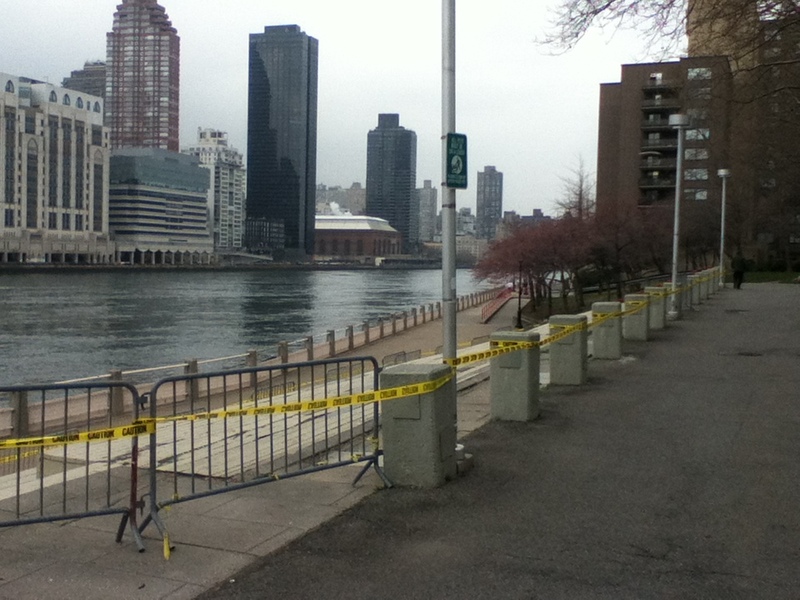 Earlier this month, a disabled truck on the Motorgate Ramp stopped vehicles getting on or off Roosevelt Island. More on the R&R Concert Series from previous posts. and a brief sample of French Baroque from Rameau. 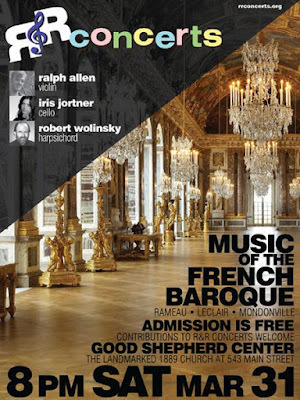 If you have not been to a R&R Classical Music Concert before and are looking to stay closer to home on a rainy Roosevelt Island night, give it a try. 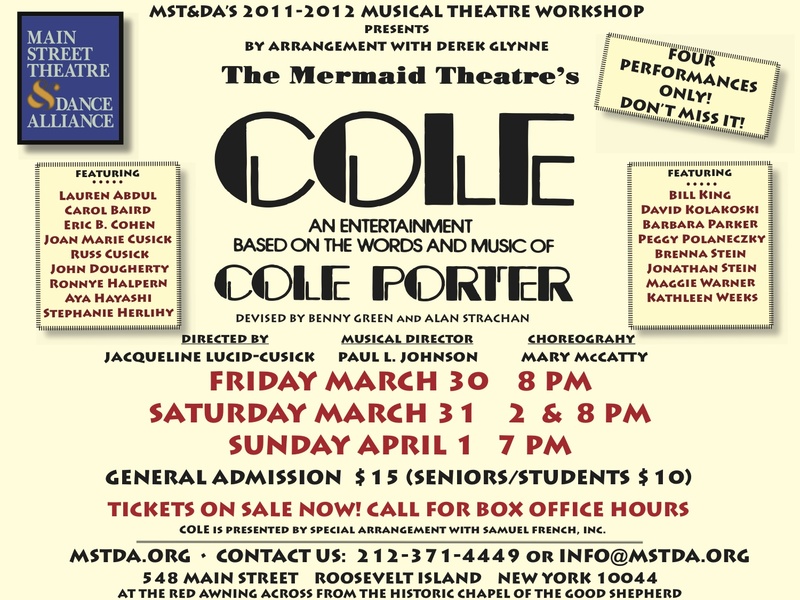 There's also the Main Street Theater & Dance Alliance Cole Porter Musical and Unorthodox Book Reading at Gallery RIVAA today as well. RIOC will provide extended Tram and Red Bus Service until 5 am. For additional information on the F-Line diversions or to check for updated information, visit the MTA website at mta.info or call 511. For more information on the Red Bus and Tram, visit our website at www.rioc.ny.gov. More info available at MTA's Weekender. What's The Latest On Roosevelt Island Mobile Food Trucks? RIOC Still Working Out Details - I Hope To See Awesome Van Leeuwen Ice Cream Here Soon!!!!! Can you provide an update regarding the permitting process for Mobile Food Trucks on the West Channel Road north of the subway that was agreed to at the last Operations Committee meeting? Are the permits now available and if not, when will they be available? RIOC called me. I actually asked about whether I could buy a permit and allow pre-approved vendors to operate under it for one month, to drive interest in serving the island. In a very friendly call, the staff member indicated that they lack adequate guidance to issue permits now, are seeking clarification and will reach out to those who have contacted them as soon as possible. I've communicated with several trucks and they seem to be interested in getting the permits. All have contacted RIOC and are waiting on a response. Beginning Monday, April 2, food trucks will be coming back to the lot on Crescent Street. It is expected that some of last year’s favorites including Rickshaw Dumplings, Eddie’s Pizza, and Coolhaus will be back to serve LIC’s hungry lunch crowd. I've had the Van Leeuwen Ice Cream at both their Greenpoint store and food truck. It is awesome. Hope they make it here to Roosevelt Island soon!!!! 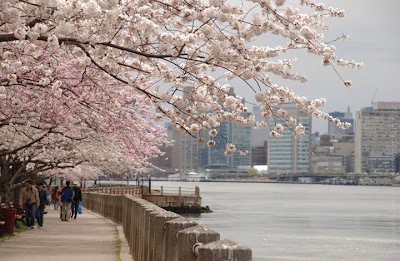 RIOC Real Estate Committee Meeting Monday To Discuss Roosevelt Island Kayaking And Rowing Proposal - Will They Also Discuss Obligation Of RIOC Directors To Disclose Relationships With Permit Applicants - Does It Matter? 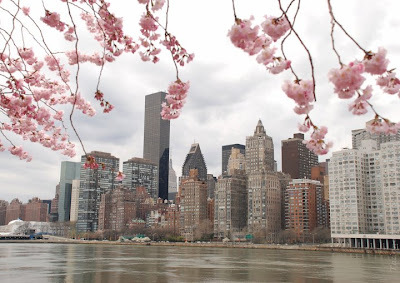 PLEASE TAKE NOTICE that a meeting of the Real Estate Development Advisory Committee of the RIOC Board of Directors will be held on Monday, April 2, 2012 at 5:00 p.m. at the RIOC administrative office, 591 Main Street, Roosevelt Island, New York. 1. Review Leasing/Licensing Requirements under RIOC Property Disposition Guidelines. 2. 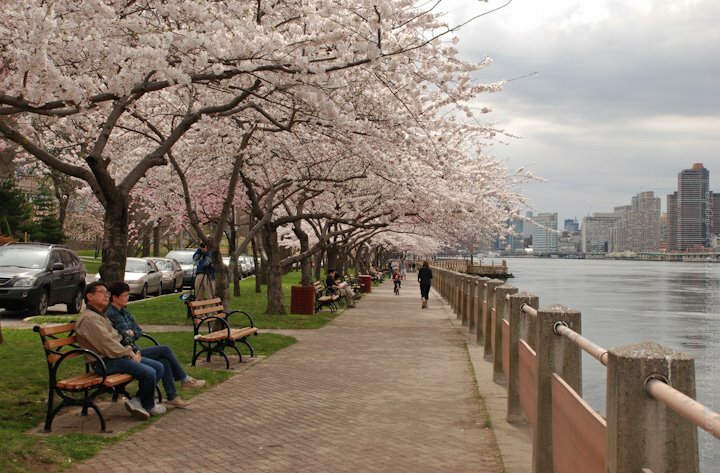 Discuss Proposal for the Use of West Channel Promenade. 4. Chair�s Motion for Executive Session to Review and Discuss the Status of Privatization/Affordability Plan and Ground Lease Extension for Island House. Agenda Item #3 - the NY Rowing Association proposal for a boating facility below the Queensboro Bridge was discussed during the March 21 Operations Committee Meeting. (Video of Discussion above and audio webcast here.). The RIOC Directors present for the NY Rowing Association presentation expressed approval for the concept but also concern that they did not have adequate time to evaluate the proposal and asked to receive answers to some additional logistical questions at their next meeting. 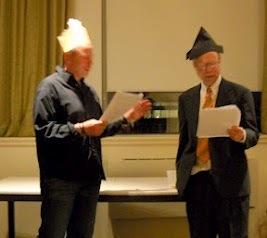 I am preparing a post on the March 21 NY Rowing Association presentation at RIOC OPS meeting. The NY Rowing Association web site indicates that Sal Ferrera is a member of their Board of Trustees. Click here for info. Is that true? If so, was that ever disclosed to RIOC Staff or Directors. I don't recall that it was mentioned during the meeting? Is Sal being a member of the organization's Board of Trustees relevant to RIOC whether or not to approve the NY Rowing Association permit/license/lease? 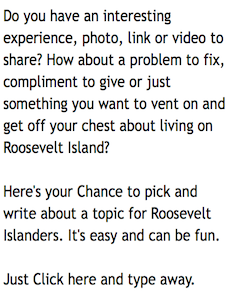 Please let me know if anyone wishes to comment for Roosevelt Islander Online. In response to your email, I am a member of the NYRA board and Vince Paparo is a member of The Child School board. The Rowing association has been a wonderful addition to our co curricular program, when they wanted to relocate to RI , I felt the community and the Child School will benefit. Issuing a one year provisional permit will allow our board to evaluate the program. 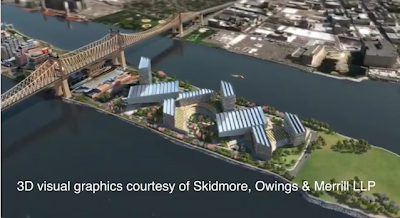 The discussion and presentation about a potential rowing launch site under the Ed Koch bridge was at an Operations subcommittee meeting and Sal is not on that subcommittee. Additionally, if any Board vote is taken concerning the NYRA, Sal intends to recuse himself from voting on the issue. Thanks for the response but will RIOC answer the question whether RIOC staff and/or directors were aware that RIOC Director Sal Fererra was a Trustee of the NY Rowing Association and that the NY Rowing Association official making the presentation at Operations Committee is a member of the Child School Board of Directors? I am following up on inquiry from last Friday (message thread below) regarding whether RIOC Directors and Staff had prior knowledge before the March 21 Operations Committee meeting that RIOC Director Sal Fererra was a Trustee of the NY Rowing Association and that the NY Rowing Association official making the Boating/Kayaking presentation at March 21 Operations Committee is a member of the Child School Board of Directors? Can you confirm whether RIOC Directors and Staff had such knowledge? Is such information relevant to the RIOC Board and staff? Also was the RIOC Board and Staff made aware of the circumstances regarding the NY Rowing Association leaving their former site at the Peter Sharp Boat House on the Harlem River. There appear to be some dispute regarding the termination of NY Rowing Association management agreement with the Peter Sharp Boathouse which led to litigation between the parties before the expiration of their agreement. 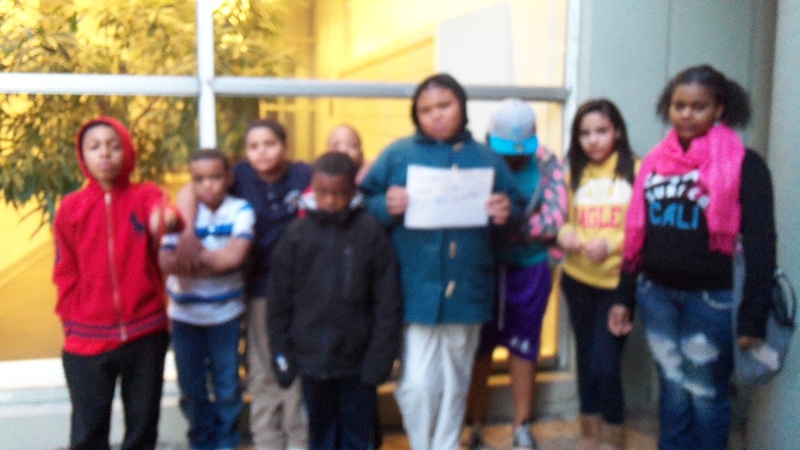 Here is link to February 23, 2012 NY State Appellate Division decision on matter. 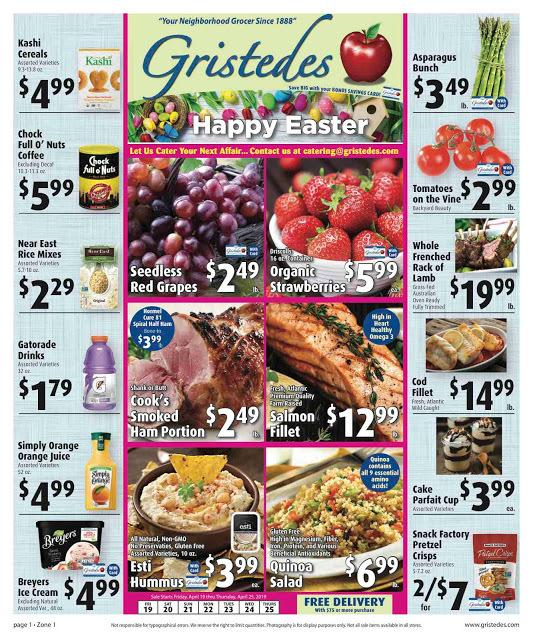 Please let me know if you wish to comment for Roosevelt Islander Online. To date have not received any further response. The question remains whether Mr. Fererra disclosed his relationship with the NY Rowing Association to the other RIOC Board members or RIOC Staff and if he disclosed the circumstances of the NY Rowing Association's dispute with the Peter Sharp Boathouse. If he did not, the question then becomes is that relevant? Perhaps the NY State Authorities Budget Office (ABO) Model Code of Ethics provides some guidance? They got it right. It's not the Renwick Ruins but the Smallpox Hospital. Are you a Roosevelt Island kid that can play centerfield or any other position on the baseball diamond. How about you just want to have some fun playing baseball? Then, this is for you. Mandatory Evaluations for All Roosevelt Island Little League players is Saturday, March 31 at Tony Capobianco field. Boys and Girls who will be 8, 9 or 10 years old as of May 1, 2012 should arrive at noon. Please bring gloves and sneakers or cleats and be ready to do some baseball drills. This exercise is only for the purpose of aligning our teams in the most balanced and fair way. All kids will get placed on a team. Last year, no team won all their games and nobody went winless. If you cannot make the evaluation day, you must still fill out a registration form and you must call the Beacon Program office to let them know you will not be at the evaluations, but you still want to be placed on a team. 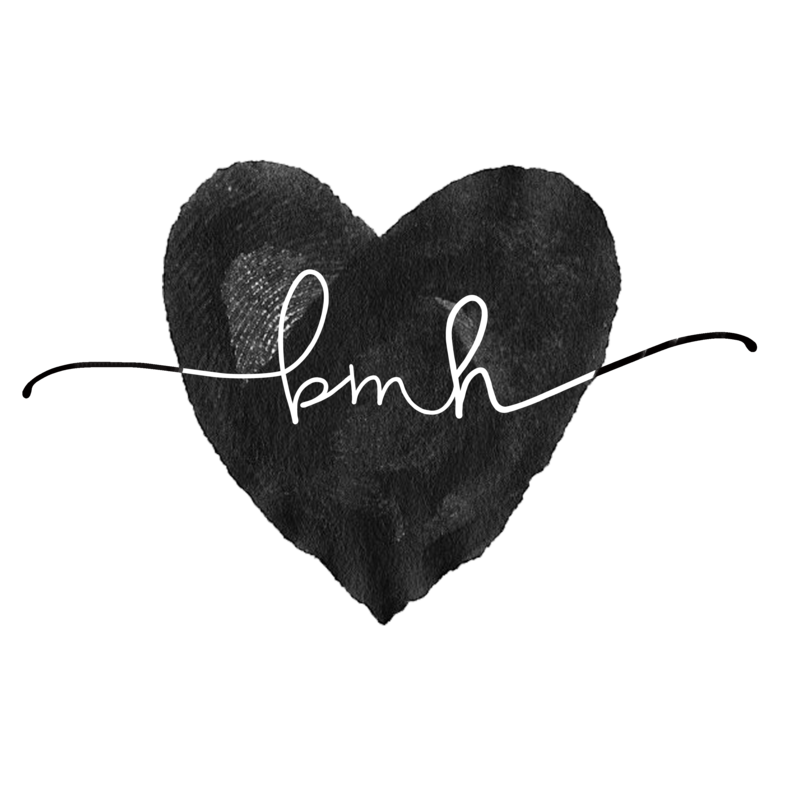 The number is 1-212-935-3646. 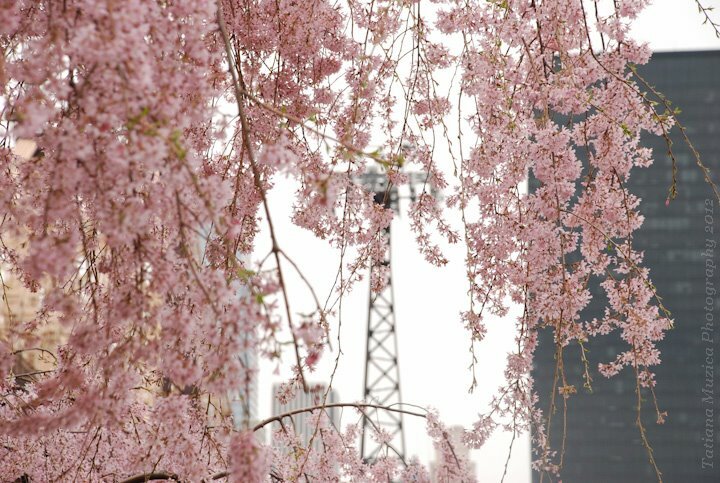 Our season begins on April 14. Deborah Feldman, author of the New York Times best-selling memoir Unorthodox, will be reading at Gallery RIVAA. Reading and book signing, Saturday, March 31st, 5pm. 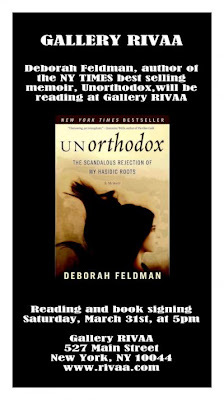 More on Unorthodox from this CNN interview with Deborah Feldman. 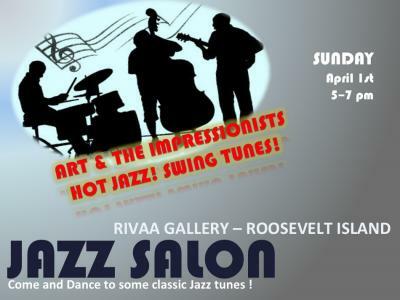 A couple of interesting programs at Gallery RIVAA this weekend. Come listen to Ms. Feldman's book reading, dance a little jazz, enjoy the art, time with your friends and meet some of your neighbors you don't currently know. Come out to hear what a community benefit agreement is and what you can do to help be a part of it. If you represent an organization, come and see what your organization can do to help. I grew up on Roosevelt Island, a psuedo- socialist hamlet smack in the center of New York City. I took daily rides on the Roosevelt Island Tramway into Manhattan to attend Hunter, where I was repeatedly suspended for marginal idiocy. Mr. Chen explains Kickstarter's innovative platform to fund creative projects at this recent TED Conference. 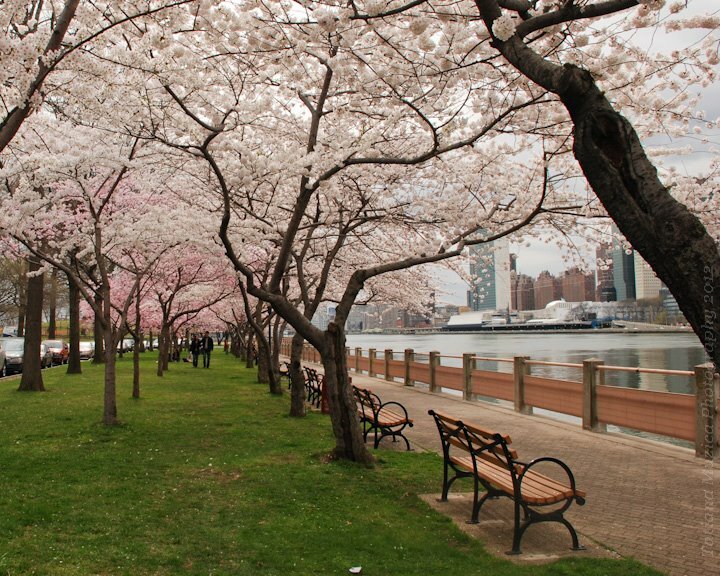 There will very likely be a whole bunch more Perry Chens from Roosevelt Island in the upcoming years. Here's video of what happened at first organizational meeting of the Silicon Island Coalition on March 14 including an introduction to the CBA concept, a review of of what has happened to date and plans for the future. I attended several of the Public Purpose Committee meetings during the last several weeks in which Roosevelt Island organizations were interviewed about their proposals and like last year was impressed with the diligence, objectivity and hard work demonstrated by the committee members. A couple of committee members have asked not to have media at our meeting tonight. I feel I should honor their wishes. I am a member of the public and intend to attend. 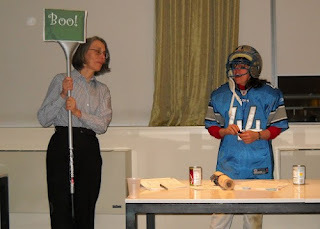 I attended last year's meeting and see no reason why I can't attend this year. I am sorry if this causes you any additional problems but openness and transparency are important in the public purpose funding process. Apparently, it was not to be a Public Meeting. I showed up for the meeting and was allowed to stay for the presentation of the Roosevelt Landings Residents Association. When that presentation was completed, I was informed that the Public Purpose Funds Committee intended to hold their recommendation discussion in secret, what they call Executive Session, but was provided a few moments to make my case for staying which was basically my reply above. I was then asked to leave the room and a vote was taken to determine if the meeting was to be closed to the public. I was informed that the vote was to keep the meeting secret and left. I offered the Public Purpose Funds Committee an opportunity to comment but have not heard back yet. When and if they do, I will include their comment as an update. The Editor of the Main Street WIRE made a brief appearance at the beginning of last night's Public Purpose Funds Committee meeting just prior to the Roosevelt Landings presentation. I had not seen the Main Street WIRE editor at any of the previous Public Purpose Funds meeting in which I attended though he may have attended the others. The Main Street WIRE editor's contribution to last night's Public Purpose meeting was to inform the Committee that he agreed with those on the Committee who wanted the meeting to be held in secret and closed to the public. and more information available at the MST&DA web site. 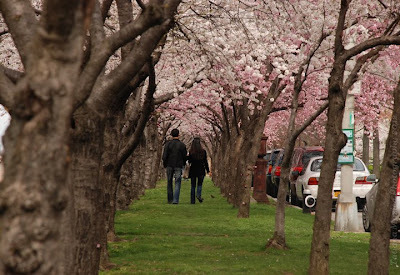 Give it a try - Off, Off, Off Broadway right here on Roosevelt Island's Main Street. Here's Ethel Merman and Frank Sinatra performing Cole Porter's You're The Top. 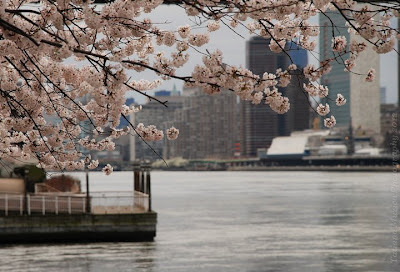 A change of pace for Roosevelt Island Special Rain and Snow Photographer Tatiana Muzica. 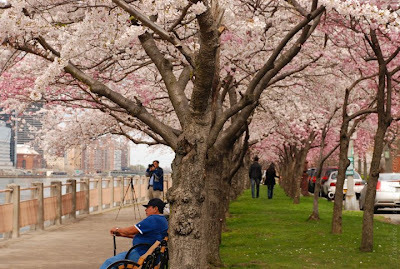 Tonight she shares these photos of Roosevelt Island Trees blossoming on a Spring day last Saturday. I understand the the Roosevelt Island Beacon After School Program has been saved and is not on the list of programs that may be closed. ... relieved that the Roosevelt Island Beacon Program appears to have been taken off the list for closures. That's certainly good news. 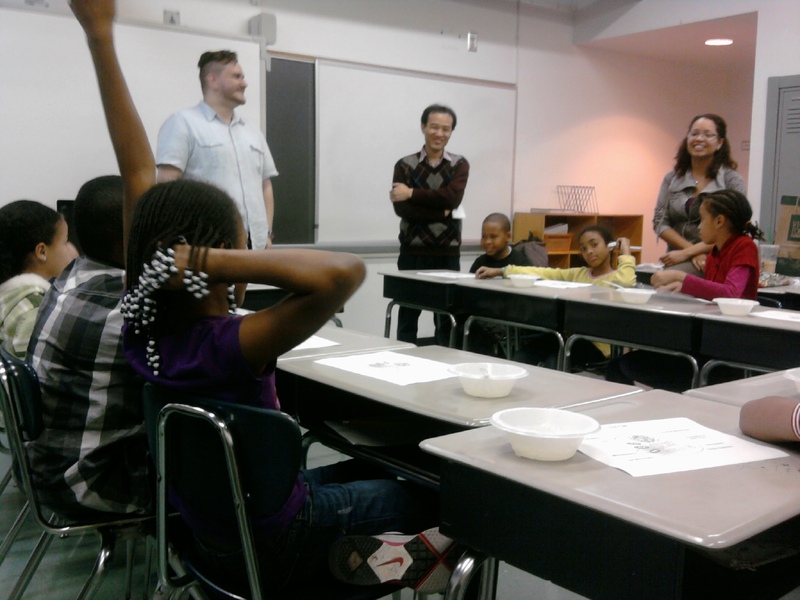 The Roosevelt Island After School Beacon Program can continue to offer much needed programs to the community such as math and science mentoring, English as a second language, basketball and martial arts among others. Queens JHS 190 Queens Community House, Inc.
NY 1 has more on the possible elimination of some Beacon After School programs. I testified to the New York City Council that the Beacon Youth program on Roosevelt Island was only blocks away from the new Cornell Technion campus and that this program would be a great opportunity for the university to work with the Beacon program on a number of potential projects. I said they already had worked with the science community via STEM. I also stated that the potential mentorship opportunities between the university/technology/science communities were not only possible, but needed to fulfill the university/NYC goals to make New York City a tech center of the world. I then went on to explain how Steve Jobs and Bill Gates both had access when they were young to the technology and science community (Jobs with HP at age 12/Bill Gates in 8th grade had access to a GE mainframe computer). I said that entrepreneurs usually don't like to listen to authority and sometimes the brightest minds combined with the entrepreneurial spirit can either make a teenager successful if they have the right role models around them or that kind of personality can easily go down the wrong path if they don't. I pointed out that Roosevelt Island has a diverse population and that as a minority entrepreneur myself it was very important to me to have role models to look up to and that sometimes you need to see someone like you that is successful in order to believe you can do it yourself. I'm sure that our Council Member Jessica Lappin, Roosevelt Island Youth Program Director Charlie Defino and many others worked day and night to make sure that the Beacon program stayed open and they should be thanked for their hard work. I think that years from now we will be using some breakthrough technology that some young man or woman on Roosevelt Island invented. I'm looking forward to it. 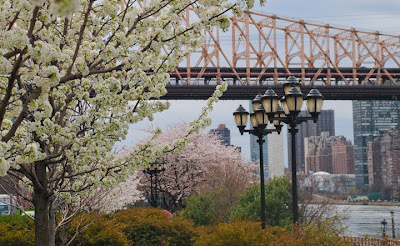 NYCRUNS is thrilled to return to Roosevelt Island with a great new USATF certified (pending), electronically timed and scored 10K. This is a race which we're really excited about and intend to build into either an RRCA or USATF championchip if we can. 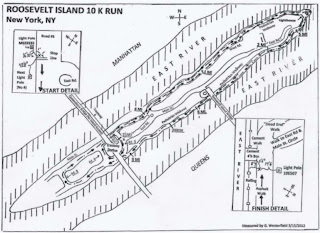 More info at NYC Runs. On May 12, 2012 at 9am The 2nd Roosevelt Island 5K Run/Walk benefiting The Icla da Silva Foundation will raise awareness of the need for bone marrow donation and engage the greater New York community in The Foundation’s mission. This fast and flat electronically timed 5K will be run on a USATF certified (pending) course and the start and finish are located near the F Train and Tram stations. 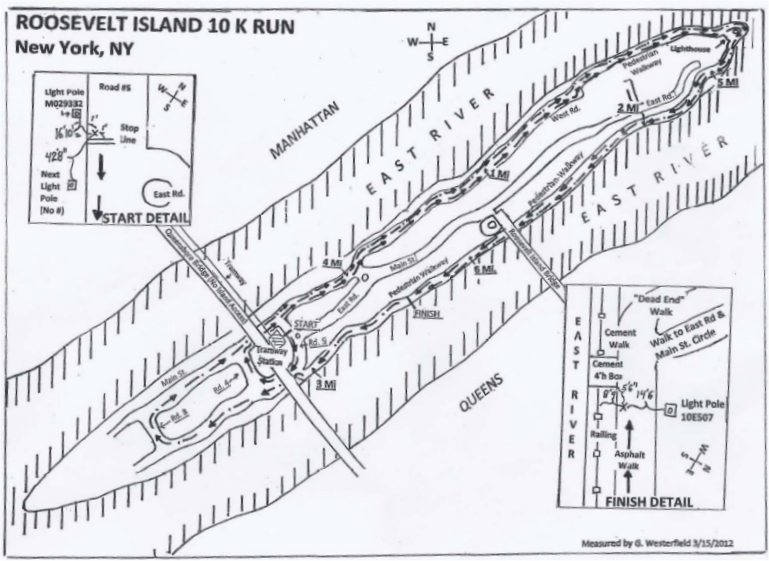 The closed course loops around the perimeter of the island with breathtaking views of the East River, Manhattan and Queens. There will also be post-race awards and a celebration. Funds raised at the 5K will go towards registering new bone marrow donors to the National Registry and allowing The Icla da Silva Foundation to provide more extensive patient support to those individuals and families with leukemia and other diseases requiring a marrow transplant. As the largest recruitment center for The Be The Match Registry, we have an unwavering commitment to facilitating access to health care for all people, increasing disease awareness and supporting cancer patients and their families from all over the world. Participants can register by going to www.nycruns.com/ri5k and fundraising teams can be formed and supported at www.icla5k.org. Consider forming a team and ask your family and friends to sponsor you in support of saving lives. Sponsorship opportunities are still available. Interested entities should contact (646) 290-6028 or Krista@icla.org for more information. and the September 8, 2001 Main Street WIRE which describes the Foundation's Roosevelt Island origin. Our membership of small businesses and solo practitioners will meet on Tuesday, March 27 at 7:30 pm, with alternate morning and evening meetings. Please RSVP to Tom Wood at thomas_wood@natfin.net for location. The agenda will feature three presentations of six-minutes each. We have at least one speaker, so please notify Tom of your interest in presenting at this or a future meeting. Newcomers welcome, so invite your friends and neighbors to join the group and attend. 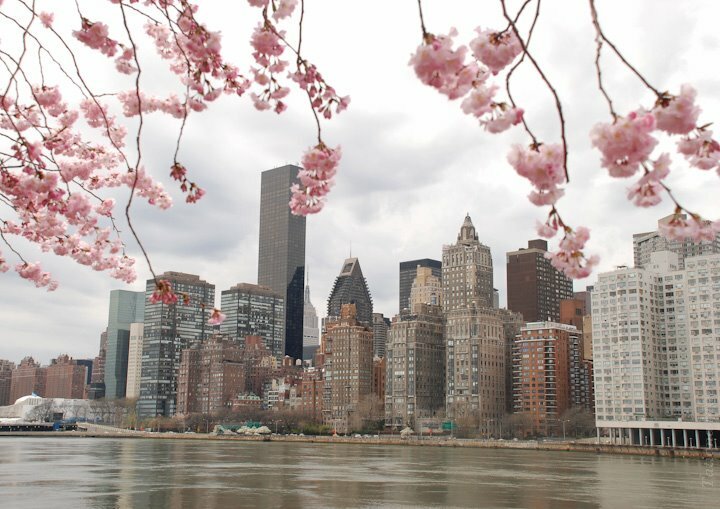 Here's what happened at the inaugural breakfast meeting of the Roosevelt Island Business Network. Remember to contact Tom Wood to RSVP and receive location info (thomas_wood@natfin.net) and join the Linked In group. and video of the discussion. RIOC had previously announced plans to renovate the Mediation Steps by early 2012. The audio webcast of Operations Committee meeting is here. Mediation Steps Restoration Project discussion starts at about the 2 hour 19 minute and 14 second mark. The wood Mr. Martinez presented as a suggested replacement product at the Operations Committee looked really good and seemed to be a very high quality product. I look forward to the finished installation. I am looking forward to the reopening of the Restored Meditation Steps as well. Riverwalk Bar & Grill, Roosevelt Island's only bar, is currently hiring for the summer season! Day and night shifts available. We are open for breakfast, lunch & dinner 7 days a week. We have a very friendly staff and are looking to add a couple people to make us even better this summer! The position pays $5 an hour plus tips. Click here for more information and to apply. The position pays $10 -15 per hour depending on experience. Click here for more information and to apply. 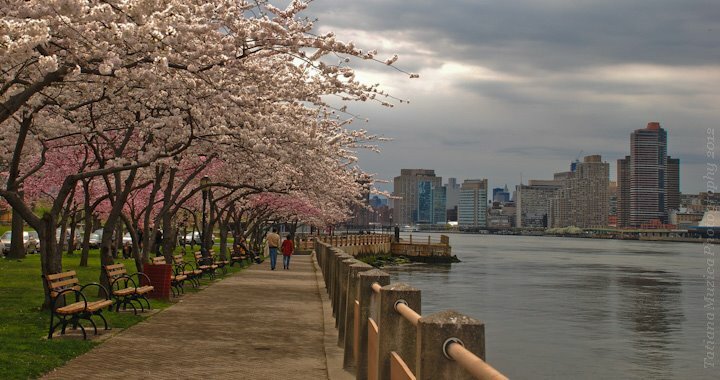 Also, as previously reported, Cornell is seeking to hire an Administrative Director for its new Roosevelt Island NYC Applied Sciences and Technology campus. 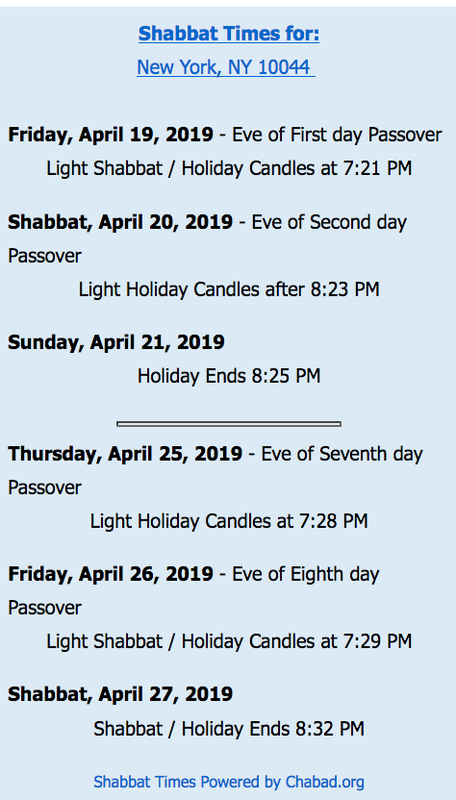 The Roosevelt Island Jewish Congregation shares this report from their recent Purim Day Celebration. 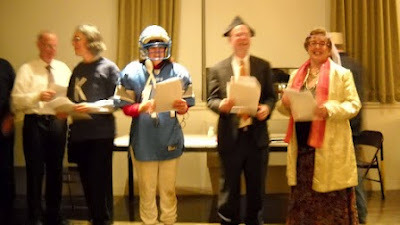 The Roosevelt Island Jewish Congregation celebrated Purim with a full evening of activities for all ages on March 7. Children arrived early to assemble groggers or noisemakers with Michal Melamed. Dressed in costumes, they formed a parade to display their finery. 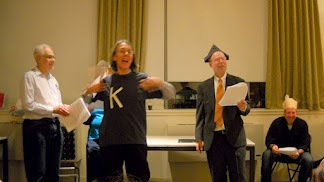 Following a pizza dinner, Rabbi Leana Moritt and Gad Levanon read the megillah or traditional scroll, which recounts the story of the holiday. They were often interrupted by children wielding their newly made groggers to blot out the mention of a certain name. Later, a Purimschpiel, or play based on this narrative, was performed. Written by Mickey Rindler, the theme of the 99 percenters and protesters on Main Street, who confronted Mayor Bloom-asuerus, was combined with the development of a technology center on the former location of Goldwasser Hospital. Deputy Mayor Haman had an alternative plan to promote Amalek University, but Cornell and Technion triumphed, thanks to the efforts of Queen Esther and Mordechai. The cast featured Scot Bobo, RIJC president, Judith Berdy, Mickey Rindler, Steve Meed, Sheila Berger Chazin, Bob Chazin, Janet Falk and Rabbi Moritt, plus Arlene and Steve Bessenoff. The Purimschpiel's broad humor, and countless inside jokes and references to Roosevelt Island affairs, drew laughter and cheers from the audience. The evening concluded with delicious Hamantaschen cookies prepared by Amber Levanon-Seligson and her daughter Dalia.